It is the vernal equinox on 21 March at 22:45 GMT. 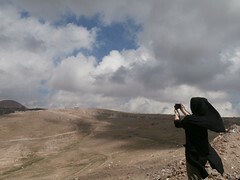 There is excitement in the air in the Greater Iran region and for those who hail from it. 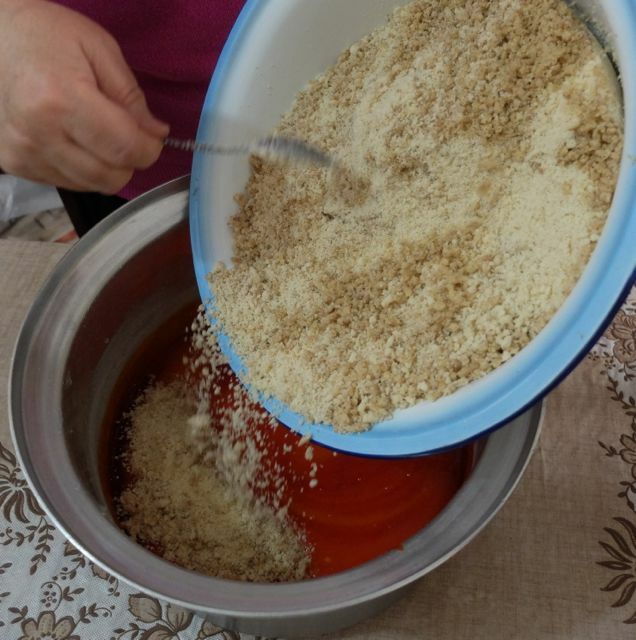 Ultra spring cleaning known as khaneh tekani (shaking the house) starts the preparation for Nowruz (new day), or Bayram in Azeri. It is not uncommon to see carpets being washed in yards, and lots of furniture on the back of small trucks being delivered or taken to be recovered. Besides spring cleaning, the haft-seen table (featuring 7 symbolic items beginning with the letter ‘s’) needs preparing. As one of the symbols is greenery and growth, various pulses such as lentils, mung beans, wheat and seeds are sprouted so making for a verdant display. Akhir chaharshanba jejasi in Azeri (the eve of the last Wednesday i.e. Tuesday evening) is represented by fire, is seen out with a bang: fireworks are lit and bonfires are set up in the streets and gardens. People jump over them saying “my yellow pallor for your rosy glow”, a form of purification. Lots of different types of mixed dried fruit, nuts and seeds are eaten as snacks in Iran, and are generally known as AjiI. 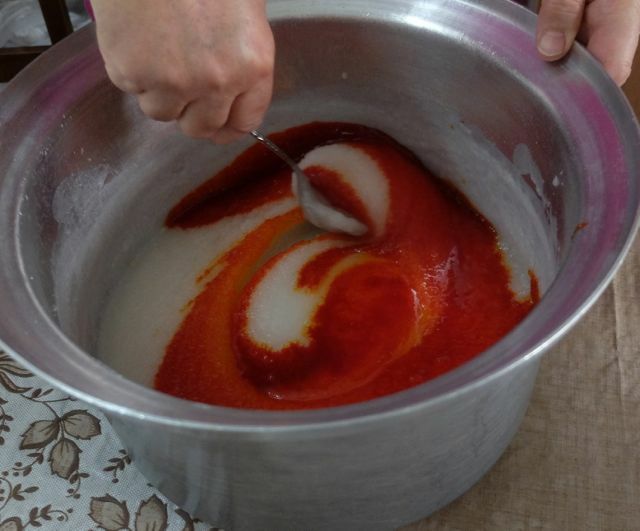 In order to fuel the general pyromania, a special mix of dried unsalted fruit and nuts are put together, known as Ajil chaharshanbe soori and in Azeri Akhir chaharshanba yemishi. New brides are given it in a beautifully laid out dish by the groom’s family. Then there are new clothes to buy, and of course gifts. Hairdressers, jewellers, tailors, bakers, cleaners and ajil sellers are rushed off their feet. The streets and bazaars are filled with hubbub. We celebrate the arrival of Nowruz over 12 days of visiting family and friends (deed o boz deed), seeing out the 13th with a national picnic known as sizdah be dar (13 outdoors or to the door). The number 13 is known to be unlucky, for this reason people go out in order to keep bad luck away from their home. In the 12 days of Nowruz people drop in for a brief visit to offer new year felicitations. During this visit they are offered a glass of chai (black tea) and some ajil, fruit and sweets. 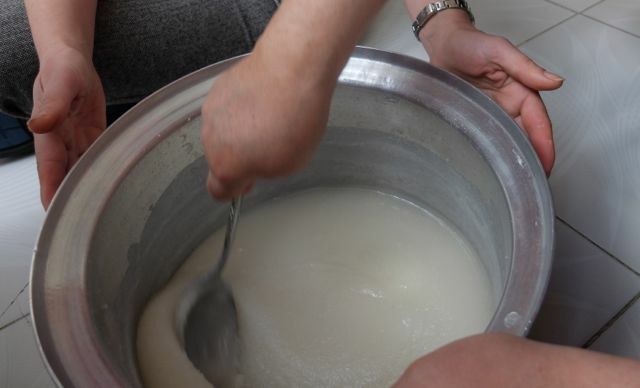 In our family, these are homemade small sweet bites made a week or so in advance which keep well. Those who know me well, know I’m entranced by sparkling things. I’ve steamed up the glass windows of Graff in London on many occasions, beguiled by their various jewels (particularly the canary diamonds). Well I can’t afford to give you canary diamonds as an eidi (new year gift), but I’ve found an even better and just as exquisite substitute in the form of Louz. 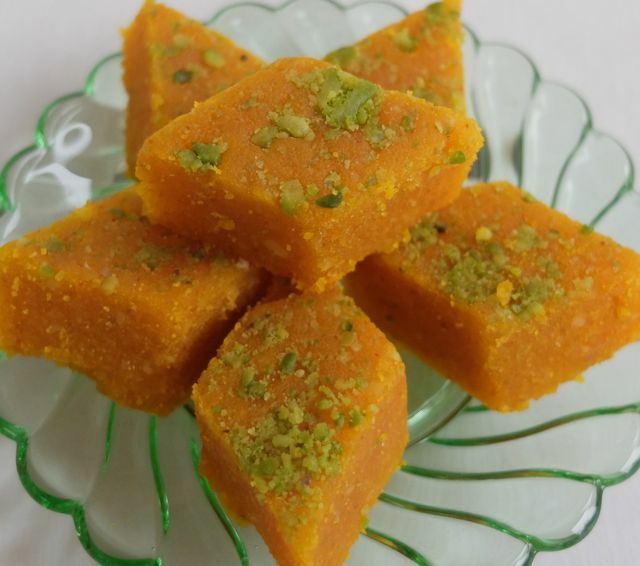 These diamond shaped, small sweet saffron & almond bite is a taste of luxury. This gluten and dairy free, vegan treat is reserved for special occasions, and particularly Nowruz. To make it is a labour of love, patience and requires skill and experience; furthermore, the ingredients are costly so it requires care. I’m lucky enough to have some of Azerbaijan’s best cooks in my circle of family and friends. I’m in Iran for Nowruz in Tabriz. 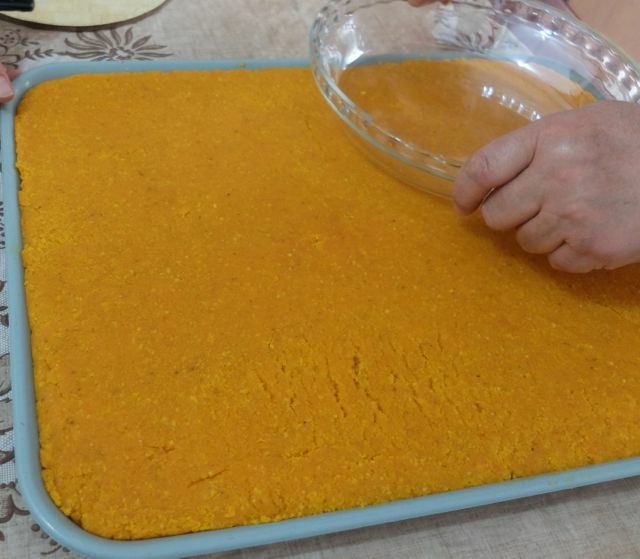 When I arrived, Soraya khanum, whom I’ve known since birth, offered to show me her louz recipe. This is a recipe she has developed over years. She made it seem simple but I’ve learned that when being taught anything, if the teacher makes it seem effortless, it is because a lot of preparation and care has gone into it. 200g almond meal the almonds must be bone dry before grinding and remain powdery not oily. 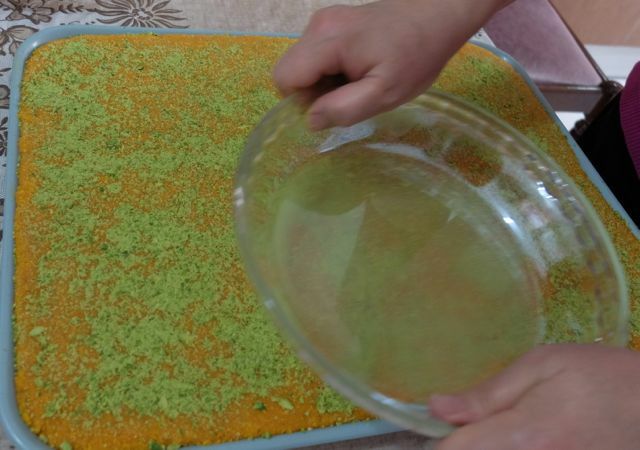 33g of peeled pistachio so that it is bright green chopped finely to scatter on top. To peel the pistachio skins, soak in boiling water for a minute then put them in a towel and rub off as much of the skins as you can. Then peel the rest by hand. 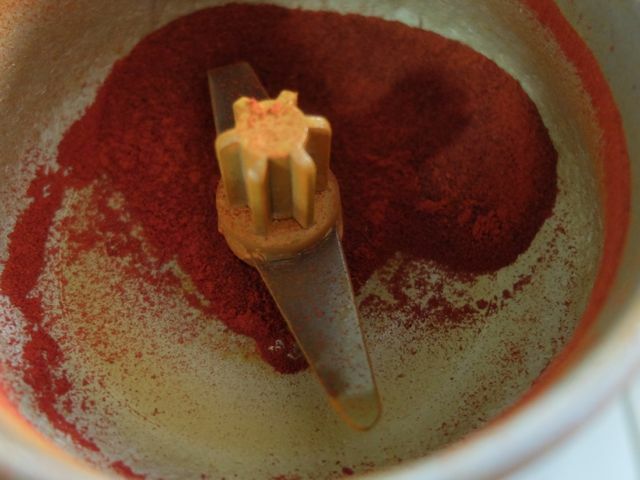 1g of saffron ground to a fine powder so that when 3/4 tablespoon of just boiled water is added the saffron dissolves in the water. This needs to be left to steep for 10 -15 minutes. Measure out all the ingredients above. 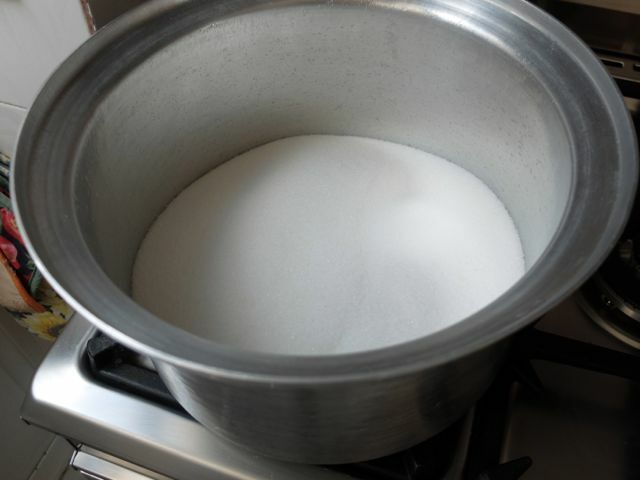 Put the sugar in a medium pot (not non-stick as you are going to stir with a metal spoon) add the water and put it on the heat for the sugar to dissolve in the water and come to a simmer. 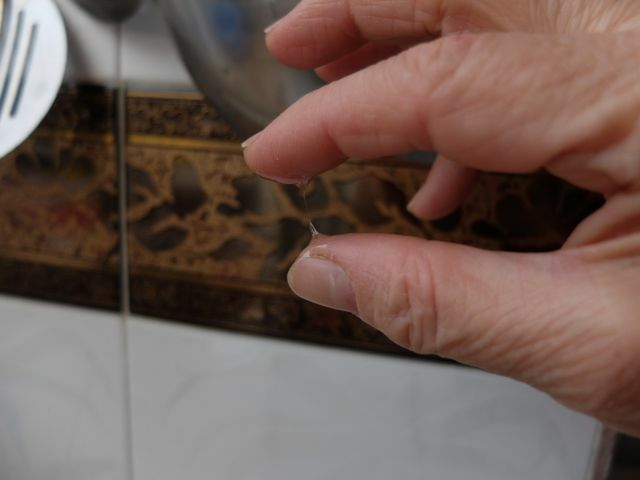 When some of the bubbles on the surface are about 1.5cm in diameter, then take some out, allow it to cool a bit then put it between your fingers, separate your fingers and there should be a sticky string as shown in the below. If it isn’t sticking then leave it for 2 mins and check until it does. It is important that you get this stage correct. If it is too wet or dry the final louz will either by like a spread or crystallise too much. Take the syrup off the heat. Put it on a sturdy surface so that it doesn’t wobble, as it is hot and dangerous. 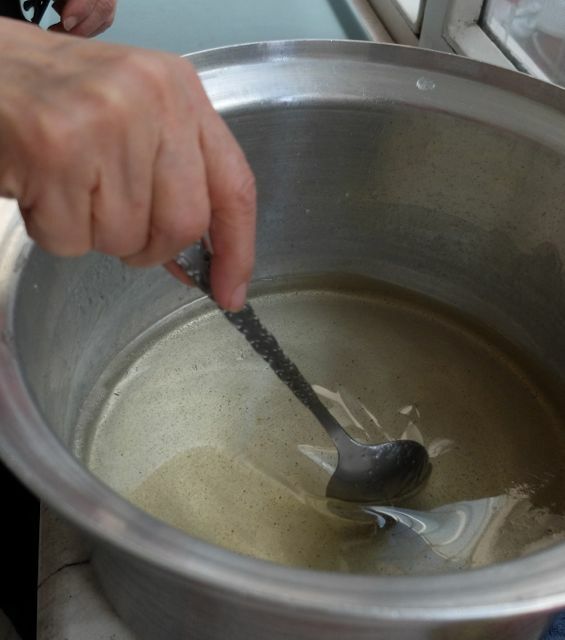 Start stirring with a large metal spoon to help it cool. This can take anything up to 20 mins. 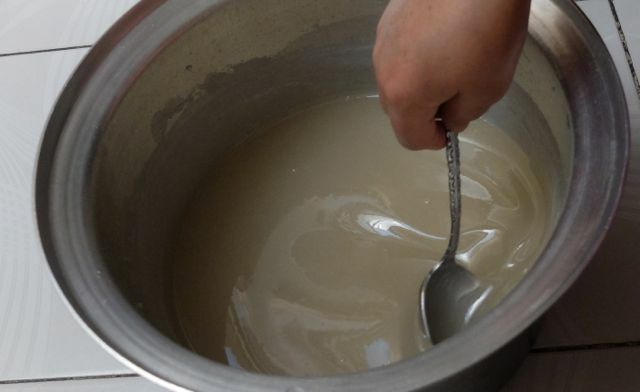 Be patient, the sugar will transform to a grainy white mix as you see below. At this point, the bottom of the pot should be cool enough to handle but not very cold. 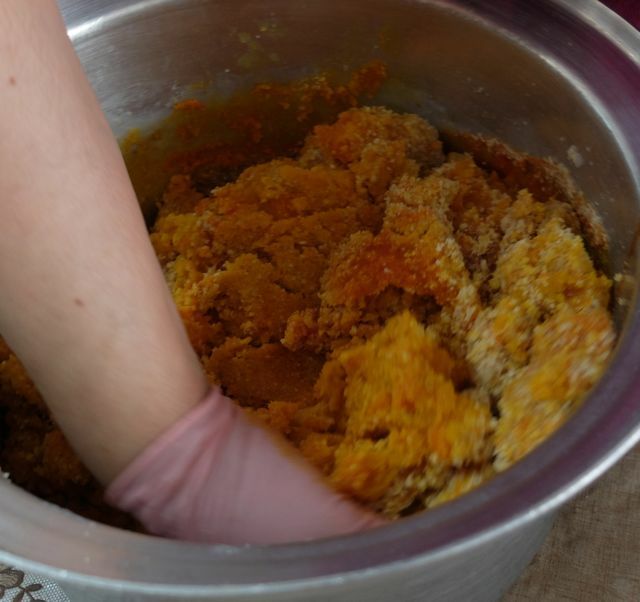 Now add the saffron tea and mix it thoroughly into the crystallised sugar. Now pour in the nuts and mix. Soraya khanum wore gloves as the mix was still hot. She gently kneaded to ensure there aren’t any steaks of nuts or grains of sugar. If you do this too hard then it’ll get oily, so it must be done with a light hand. 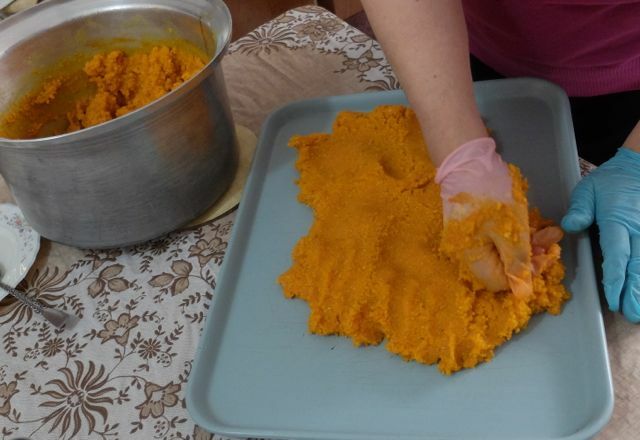 Once mixed, squish it into a tray to the height of 2 cm. 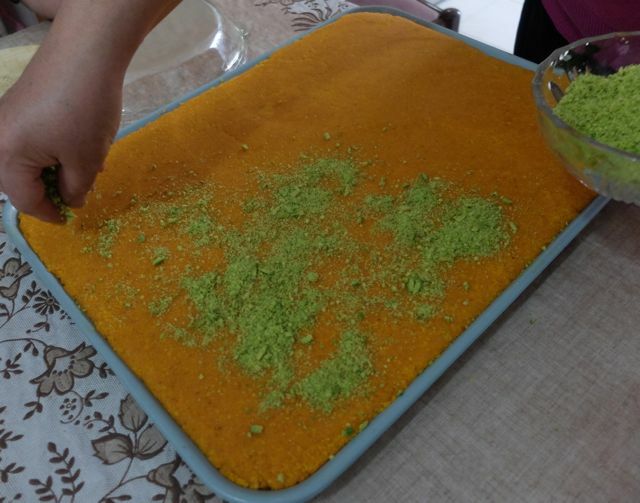 As you can see we first used a metal scraper then Soraya khanum used a glass dish to press down and smooth the top. She then scattered the pistachios on top and used the glass dish again to press them into the louz. We left it to cool, and then put it in a plastic bag in a cool place for the flavours to mingle and for the louz to harden. This could be one or two days. You can either use a ruler or free hand cut out diamond shapes. Louz will keep for a month in an airtight container in a cool place. Otherwise keep in the freezer for at least 6 months. 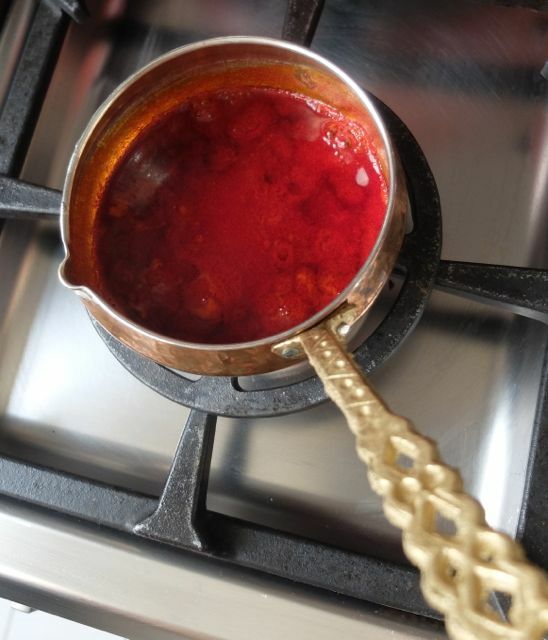 Please find below Irani tales and recipes from around the world. Wow, such a compliment coming from you. Thank you. I really have to taakid it requires care though it seems simple. Especially the syrup and the stirring. Lots of love and kisses from Tabriz. Merci Fariba jan. I hope you enjoy it. You’ll know very well that it seems simple but it requires attention to detail. Let me know how you got on. Love from Tabriz. Love this! It’s so interesting to see the Azeri translations of all the Persian terms. And how lovely to get the loz recipe directly from the source — if only there were photos of Soraya Khanoum herself! Regardless, sounds delicious! Hi Tannaz, glad you enjoyed the Azeri terms. I have promised all the ladies anonymity. You might have noticed there are only fingertips, mum and me in photos. I am CRAZY about loz! And you make it look so easy to make. I will have to try this in the next day or so! Eid-eh shomah mobarak, Simi joon. This is like a nowroz tradition in our house. 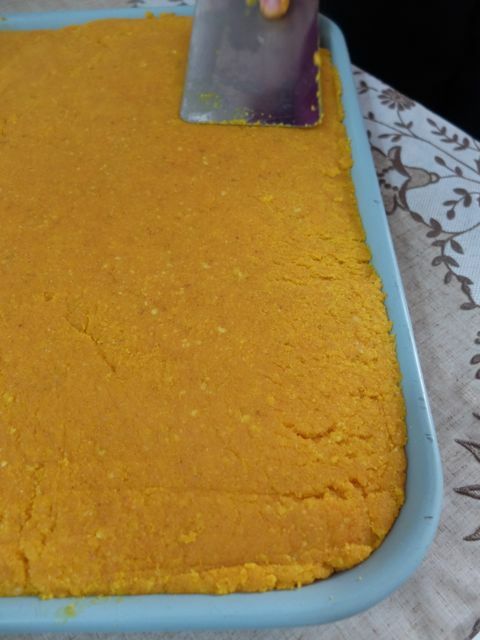 My mom always makes this for eid or very special occasions. Since i came to US i have been making it myself. But we never used walnuts. This year i have used your recipe and the loz is in the kitchen to be harden and cut. Thanks so much for sharing it and eid mobarak! Wow, it came out great. The texture was a lot softer and easier to melt in the mouth. I am going to make it this way in the future again. So glad it came out beautifully for you. Simi joon, this louz sounds absolutely amazing! I am so excited to try this. And as usual your use of azeri takes me right back to my childhood visits to Tabriz. Thank you and Soraya Kanoum for sharing this delectable treat! Merci Naz jan for your kind words. Let me know how you get on. Noushe jan.
Salom, This is called louz. 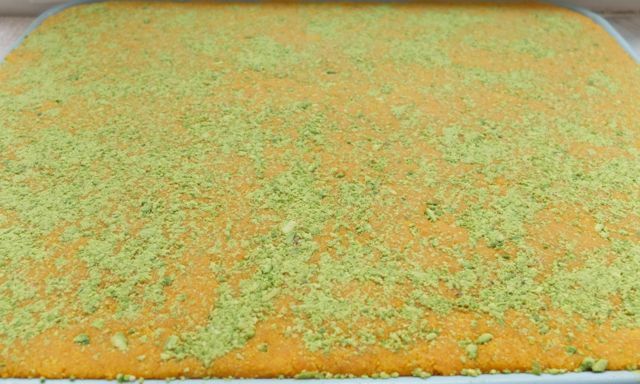 It is sugar, almonds, zafaron & pistachio. It is a vegan, gluten & dairy free sweetmeat.